Two men have been charged in connection with cash machine raids and other crimes in four counties, including one in Kettering. Charlie Smith, 31, of Mere Lane, Bitteswell, Lutterworth, and 36-year-old Alfie Adams, of Bickershaw Lane, Wigan, have both been charged with four counts of burglary and one count of theft. Burglary at the Co-op in Burwell, Cambridgeshire, on Wednesday, November 22. Both men were remanded in custody to appear at Leicester Magistrates’ Court this morning (24 November). 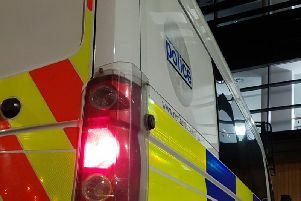 Two women, aged 29 and 38, arrested on suspicion of offences under the Proceeds of Crime Act, have been released from custody under investigation.